Most people have to work in teams on a regular basis. 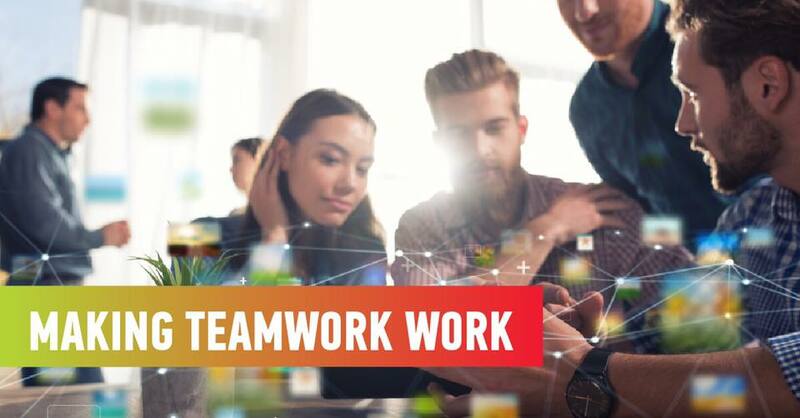 While there are advantages to working in teams, it is often experienced as a difficult, sometimes painful, process. This workshop is designed to help people become better team members or leaders through the development of their awareness and teamwork skills. Participants acquire skills to work better in teams, to leverage team strengths and avoid or resolve obstacles to effective teamwork. Topics include team development, building trust, decision-making in teams, and resolving team conflicts. Use and propose effective and practical decision-making techniques to their teams, in order to increase productivity and morale. Managers, Supervisors, Team Leaders, Project Managers and other professionals who work as part of a team. Sonia Di Maulo is an award-winning performance improvement professional, author, and founder of Harvest Performance. She is passionate about helping leaders find the right approaches and processes to grow their teams’ potential through trust and collaboration. Her Master’s degree in Educational Technology and a Bachelor’s degree received with distinction in Communication Studies are the foundations for her passion. In 2003 and 2011 Sonia received Awards of Excellence from the International Society of Performance Improvement for Outstanding Instructional Interventions. She works with local, national, and global companies in diverse sectors with an important focus on delivering needs-based solutions that are meaningful, sustainable, and improve the way we work and connect. Using proven performance improvement practices and principles, Sonia helps organizations improve their work environment and team engagement. It’s all about relationships. 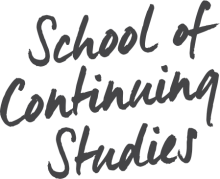 Receive a 15% discount for non-credit activities offered by the School of Continuing Studies (SCS)! Add yourself to the McGill Students and Alumni group, under the "Group Affiliations” section of your Athena student profile. This discount is available to McGill University employees. Note that you must have a valid McGill ID and hold an active, non-casual, non-student position (either part-time or full-time) throughout the duration of the activity for which you have registered. Add yourself to the McGill Staff group under the “Group Affiliations” section of your Athena student profile. Benefit from a 15% discount if your organization enrolls three (3) or more employees! Click “Add to Cart” to begin the registration process. At the top right-hand side of the page, click the red “Athena Login” button. Select Group Login from the list of drop-down options. From the Athena Group Portal page, log in to your existing group account OR create a new group account. Add all of your employees as members* under the “Manage Members” tab. Click “Continue Checkout” to proceed OR click the cart icon at the top of the page. From the center of the page, click "Add/Remove Members". Select all of the individuals that you would like to enroll. Next, check the "Apply a discount" box and select GROUP15 from the drop-down list. Click "Checkout" and follow the onscreen prompts to proceed with the purchase. *Note: If one of your employees has an existing Athena student account, please ask the individual to log in to his/her student portal and add him/herself to your group. The Act Respecting Access to Information Held by Public Bodies and the Protection of Personal Information. Personal information is protected by legislation in the Province of Quebec. Personal Information includes, but is not limited to, name, address, telephone number, e-mail address, date of birth, citizenship, McGill ID, program, student status and academic record information. The provisions of this statute are such that discussion about a student’s file or access to that file is restricted to the student involved. Other persons or organizations can have access to information pertaining to a student’s file only if the student has provided the School of Continuing Studies with written authorization which specifies both to whom information can be given and the type of information which can be released. e) the professional bodies or corporations (e.g., engineers, dentists). g) Regulatory authorities, law enforcement or other persons, as authorized or required by law. Officers and members of the University staff (e.g. Faculty officers, Office of the Dean of Students, etc.) may also have access to relevant parts of such records for recognized and legitimate use. McGill University School of Continuing Studies has proper security measures to protect you from the unauthorized use of your stored information. This non-credit registration system runs on software provided by Destiny Solutions (a company based in Toronto, Canada) and stores the personal information on Amazon cloud services in the United States of America.We commit to safe transactional processes on this website at all times. For this reason, your credit card information is not stored on this website. If the use of your credit card online is a concern to you, we invite you to register with one of our representatives over the telephone at (+1) 514 398-5700. McGill University School of Continuing Studies is committed to respecting the privacy of any user or visitor to its website. Any data or information that may be communicated to McGill University School of Continuing Studies will not be sold or shared except for the release of information to the bodies listed above. In compliance with the Act respecting Access to documents held by public bodies and the Protection of personal information (R.S.Q. c. A-2.1), any personal information that McGill University School of Continuing Studies collects is handled in a confidential manner, by authorized individuals, and for the purpose for which it was collected. The volunteered information collected via our website is used by us alone to contact you for transactional or marketing purposes. We use the information to open accounts, process orders, communicate with alumni and customize our relationship with our customers. McGill University School of Continuing Studies makes a commitment against spam and is in accordance with all applicable laws. You can unsubscribe at any time using the unsubscribe button included in all our communication or by contacting us via email or phone. All manual request to unsubscribed may take up to 10 business days as prescribed by the law. I understand that an admission granted based on incomplete, incorrect or false information contained in my application or supporting documents may be revoked at the sole discretion of the University. The University reserves the right to revoke admission at any time. I acknowledge that, if admitted to McGill University, I will be bound by the statutes, rules, regulations and policies in place from time to time at McGill University and at the faculty or faculties in which I am registered, including those policies contained in the University calendars and related fee documents. I undertake to observe all such statutes, rules, regulations and policies. My obligations shall commence with my registration and terminate in accordance with the University's statutes, regulations and policies. This Agreement is governed by the laws of the Province of Québec. The parties hereby confirm that they each require that this and all documents and notices in connection therewith be drawn up in English. McGill University School of Continuing Studies reserves the right to modify this policy at any time. _ga,_gid and other cookies that start with an underscore: These cookies are used to collect information about how visitors use our site. We use the information to compile reports and to help us improve the website. The cookies collect information in an anonymous form, including the number of visitors to the website, where visitors have come to the site from and the pages they visited. This anonymized visitor and browsing information is stored in Google Analytics.